Renault Duster 110PS Diesel RxZ is a SUV that has a strong urban aura around it and, by virtue of its affordable yet competitive market value, is certain to be a hot commodity in the automobile market. The car is available in many variants. Each variant adds a new meaning to the brand. Renault Duster 110PS Diesel RxZ has a very aesthetic appearance which makes it a treat for the eyes. Double barrel headlights give the car a hi-tech feel and help in making night driving easier. The bumpers, which have been designed using dual color shades, help in enhancing the urban appeal of the car. The presence of a rear window wiper elevates the style quotient and also facilitates driving in the rainy conditions. 16 inch alloy wheels and 215/65 R16 tubeless tyres help in enhancing the car’s sturdiness and establish it as a stable vehicle. Tinted glass helps in giving the car a mysterious aura. It also helps in ensuring passenger privacy. A black grille radiator finish helps in magnifying the car’s ruggedness— a feature that helps in endearing it to the younger generation.Renault Duster 110PS Diesel RxZ is available in a variety of colors including Metallic Graphite Grey, Pearl Galaxy Black, Metallic Fiery Red and Pearl Supreme White. 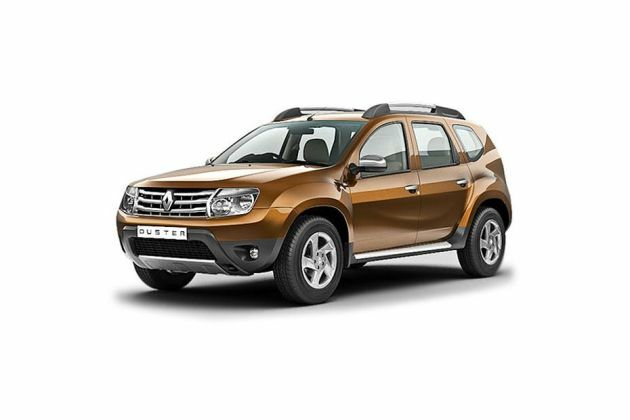 Renault Duster 110PS Diesel RxZ uses trendy beige fabric covered seats and doors give the interior a formal and neat semblance, much to the liking of the upper classes. A Metallic Champagne Silver finish on the steering wheel is in synch with the car’s inherently refined appearance. It has a seating capacity of five including the driver and offers 475 litre of space for cargo. When talking about space and volume, it is worth mentioning that the car has a fuel tank capacity of 50 litres . The presence of a highly efficient 1461 cc 1.5L dCi diesel engine bears testimony to the sound scientific principles used by the car’s makers. It offers a peak torque of 248 Nm at 2250 rpm and a peak power of 108.4 bhp at 3900 rpm. An impressive fuel economy of 19.01 kmpl on the highway and 16.8 kmpl of city mileage bears further testimony to the engine’s vitality. An efficient braking system is important for ensuring a safe journey . Keeping the fact in mind the car is equipped with hydraulic brakes which are less costly and easy to maintain. The front wheels use ventilated disc shaped brakes, which make the application of brakes easier while at the rear, drum shaped brakes are used which enhance the effectiveness of the braking system. The presence of an Artificial Intelligence feature called Braking Assist (BA) helps in reducing the distance travelled by the car post braking thereby decreasing the chances of a crash. An adjustable steering column permits the driver to adjust the steering according to his height. The steering can, at user discretion, be covered with a leather cover to further enhance driver comfort. The presence of numerous safety features bears testimony to the fact that the makers are fully aware of the need to ensure passenger safety. Very often braking at high speeds results in locking of the braking system. The presence of an Anti-Braking System (ABS) helps in avoiding this potentially dangerous scenario. A central locking mechanism permits all doors to be locked through a centralized console— a feature that is of great help to children and aged people. The seat belts help in protecting passengers from back and spinal damage in case of sudden braking. A warning system is also present that alerts passengers about unfastened seat belts. Very often, passengers expose themselves to great risks because of incorrectly locked doors. A “door ajar” alarm protects the passengers from such dangers. Fog lights are provided they improve visibility during foggy conditions and help in avoiding mishaps. At times, children playfully, open doors while the car is in motion and such situation can result in fatal accidents. A safety lock mechanism makes it impossible for children to open doors and hence results in a safer journey. Passenger and driver airbags help in enhancing safety by absorbing the shock associated with crashes thereby reducing the likelihood of injuries. The damage inflicted to the car, in the event of a roll over, is greatly subdued through the use of Impact beams. The keyless entry feature takes the security aspect of the car to new levels. This feature, which permits the driver to facilitate entry through a keypad, is certainly to receive praise from those who suffer from poor eyesight. Any chances of car theft are cancelled out through the presence of an engine immobilizer—a feature that deactivates the engine if the car is ignited via a fraud key. The car is equipped with a host of comfort oriented features which help in establishing the car as a “palace on wheels”. Renault Duster offers top-notch air conditioning and makes long journeys less tedious. It is equipped with rear vents which ensure cooling for passengers seated on the rear seats. A heater is also provided which helps in reducing the discomfort associated with driving during winters. Smokers are certain to enjoy the inclusion of a cigarette lighter— a feature that facilitates smoking on the go. Cup holders are provided at both the rear and front ends to permit spill free consumption of drinks. Power windows add a sense of automation to the car and simplify the use of windows. Parking sensors help in making, the otherwise challenging task of parking, extremely simple. A reading lamp has been provided to cater to the needs of vivid readers. Other comfort features include air quality control, armrests, vanity mirror and a trunk light. The entertainment aspect is taken care of through several entertainment features. To start off, a CD player is provided that is easy to use and offers a good performance. Often CD players are damaged because of errors committed during the ejection/insertion of CDs. The presence of user friendly CD changer mode facilitates smooth changes and protects the player from damage. The car is equipped with a radio which allows passengers to enjoy the latest songs and surf radio channels while on the move. Speakers are provided at the rear and front ends and provide amazing sound quality. The use of sound electronic concepts in these speakers helps in reducing clipping hence enhancing the speaker’s life.